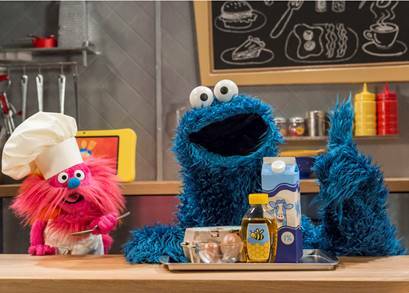 Sesame Workshop is preparing for the UK debut of Cookie Monster’s Foodie Truck, a new show landing on Tiny Pop next week. Cookie Monster’s Foodie Truck has been billed as a dynamic new way for kids to learn where their favourite foods come from. 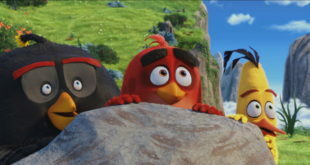 Each five-minute episode will see Cookie Monster and his pal Gonger receive a video call from a child who orders a favourite dish. Partway through preparing each recipe in their fully-loaded food truck, Cookie and Gonger realise that they’re missing a key ingredient. They then jump behind the wheel and leave Sesame Street to gather the missing ingredient right from the source. 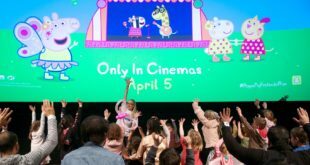 “Sesame Workshop has always approached familiar topics in fresh and creative ways, and we’re excited to continue this tradition with our newest series,” said Ed Wells, senior vice president and head of international media and education, Sesame Workshop. 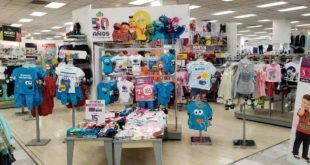 Licensing opportunities for Cookie Monster’s Foodie Truck and Sesame Street are overseen by Bulldog Licensing, who was named Sesame Workshop’s agent for the UK and Eire in July.